Although time seems to fly, it never travels faster than one day at a time. 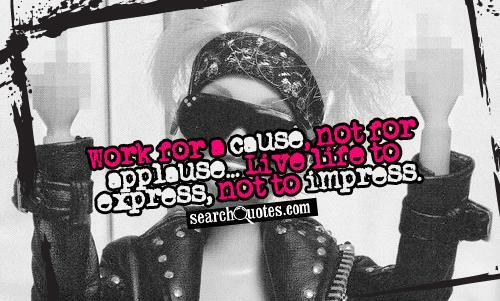 Each day is a new opportunity to live your life to the fullest. In each waking day, you will find scores of blessings and opportunities for positive change. 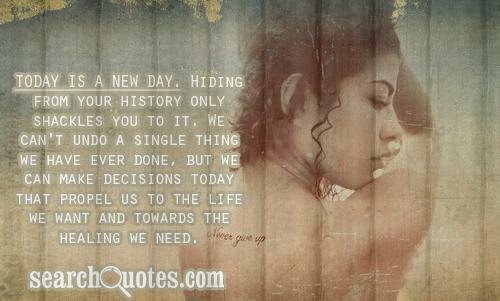 Do not let your TODAY be stolen by the unchangeable past or the indefinite future! 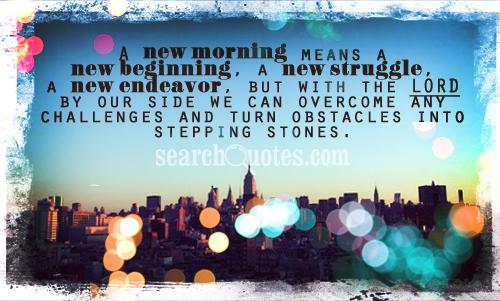 Today is a new day! 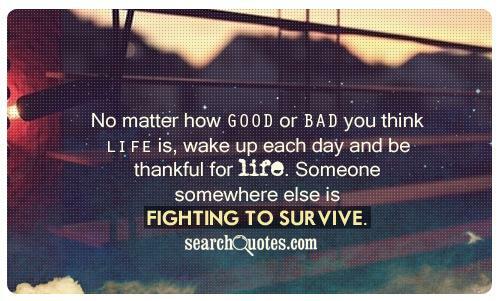 No matter how good or bad you think life is, wake up each day and be thankful for life. Someone somewhere else is fighting to survive. 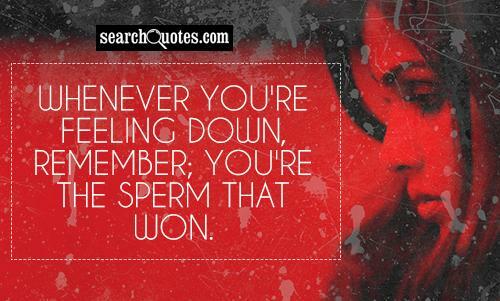 Whenever you're feeling down, remember; you're the sperm that won. The road to success is not straight. There is a curve called Failure, a loop called Confusion, speed bumps called Friends, red lights called Enemies, caution lights called Family. You will have flat tires called Jobs, but if you have a spare called Determination, an engine called Perserverance, a driver called Will Power, you will make it to a place called Success. Life's not always going to be easy, and there will be days when you feel like giving up, but just keep your head up. 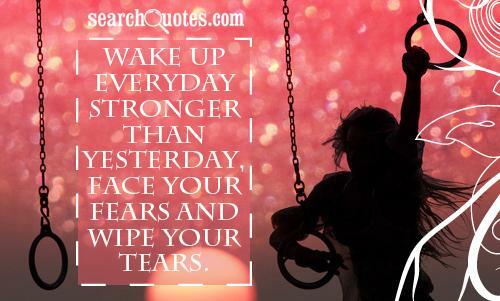 Remember that tomorrow is another day and it can always get better.